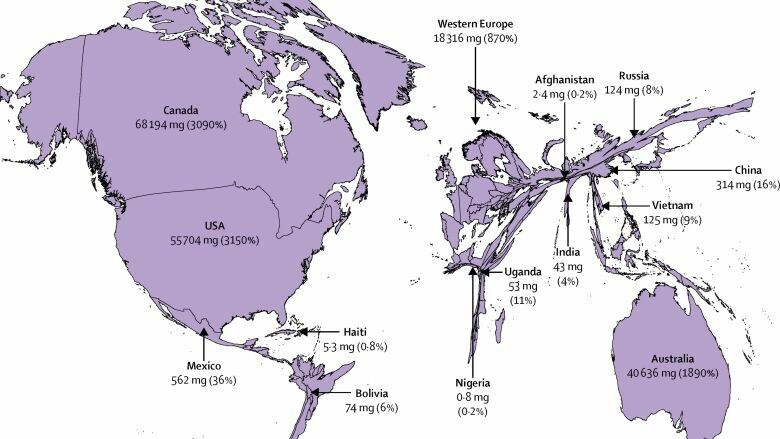 The death toll from the opioid overdose crisis in North America continues to be staggering, but our complicated relationship with opioid drugs goes back to ancient times. In the past few years, the death toll from illicit drugs like fentanyl has reached staggering levels across North America. In Canada, an estimated 4,000 people died of overdoses in 2017, though final numbers for the year still haven't been released. In the United States, about 63,000 people were killed by drugs in 2016. People are often killed by a mix of drugs. Opioids like fentanyl appear in many of the cases. Health officials have been scrambling to get the overdose crisis under control but, for the most part, the drugs aren't new. This public health crisis has been thousands of years in the making. Archeologists have turned up plentiful evidence of ancient human interest in the euphoric and therapeutic qualities of the poppy, and much of it goes back more than 3,000 years. Researchers argue the proof is there: from small jars found on the Island of Crete, which bear a resemblance to poppy bulbs scored with a blade to produce opium, to chemical analysis of 3,500-year-old vessel traced back to Egypt. The use and discussions drugs derived from the poppy fell off in Europe as Christianity took hold of the continent. Arab traders, meanwhile, introduced it to East Asia beginning around the fifth century. 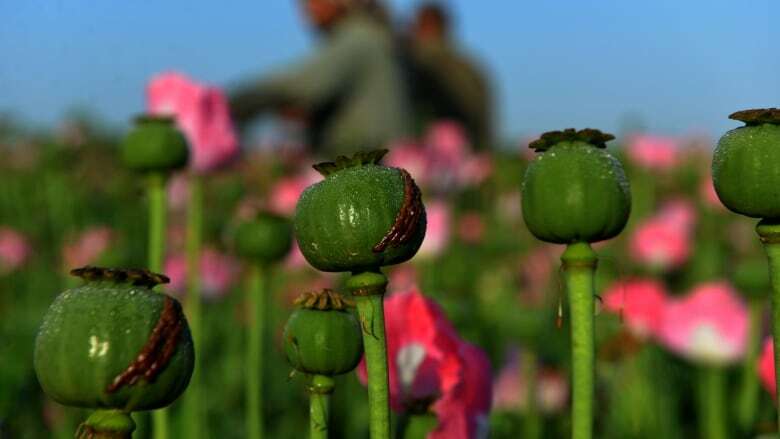 European interest in opium picked up again once traders began making their way east by sea in the 1500s. The British East India Company certainly wasn't the first to profit from the trade in opium in Asia, but it dominated after perfecting a system wherein opium was produced in India and shipped to China, so that traders could pay for all the tea, silk, porcelain and other Chinese wares people demanded in England. The British overcame official Chinese opposition to the drug flooding into the country by force in what are known as the opium wars. China capitulated after two attacks by the British — one beginning in 1839, the second one starting in 1856. Drugs: What's race got to do with it? Therissa Libby co-authored Heroin: Its History, Pharmacology, and Treatment and is an assistant professor at Metropolitan State University. She said the invention of the hypodermic syringe in the mid-19th century was a major advance — one that increased the medical and addictive role opioids played. "Now, morphine, which came as a powder, dissolved into a liquid, could be directly injected," said Libby, adding that the development of more potent opium derivatives like morphine and later heroin further drove up addiction rates. "The thinking was that because of the way [heroin] was modified, it would not be addictive, and perhaps even opium and morphine addiction could be treated," she said. "That, of course, turned out not to be true." Heroin was marketed by Bayer pharmaceuticals and became readily available, first in medical cases, and then soon after by people sucked into addiction. Street use of opioids grew throughout the 20th century, along with medical advances and new derivatives. Morphine was stronger than the opium it was refined from — and heroin was stronger still. Then, in the mid-20th century, synthetics like fentanyl were developed (leading to the term opioids, which is often used in contrast to opiates that come from plant material). Fentanyl, as the deaths that it has caused demonstrate, is extremely potent and can be lethal in very small quantities. But we never heard of an overdose crisis blamed on the drug in the 1960s, shortly after it was developed. Fentanyl use was widespread for decades, but it didn't extend far beyond the medical world. So how did fentanyl turn into the number one drug villain, blamed for so many deaths? According to the Victoria Police Department's Staff Sgt. Conor King, one turning point came in 2012. "Oxycontin — the 80 mg pills — were pulled off the Canadian market," said King, who added that the pills were being crushed up and abused by people snorting or injecting them. "That created a vacuum which could then be exploited by organized crime groups," he said. King explained that organized crime groups in cities like Vancouver already had experience making and selling ecstasy pills, and they had connections in China where illicit fentanyl was being produced. "They saw this opportunity to capitalize on the market. They began making their fake 80 mg pills with fentanyl instead of oxycodone," said King. Meanwhile, the criminal groups were also producing other drugs in the same clandestine labs, and according to King, they weren't especially diligent about cleanliness or cross-contamination. Fentanyl was both intentionally and accidentally winding up in other drugs like heroin, cocaine, and methamphetamine. Some drug users got a taste for the drugs with a little more edge, while others experienced accidental poisonings as a result of the cross-contamination. Then there are the next generation of opioids that are mostly making their way to North American shores from China. "Fentanyl has a particular molecular structure, but it can be replicated and changed just slightly to create what is called fentanyl analogues, such as furanylfentanyl or 3-methyl fentanyl," said King, adding that some are much more potent that fentanyl. "They don't have any medical application whatsoever; they're strictly made for the recreational drug market." King said the drugs are nearly impossible to intercept at the border — tiny quantities can pack thousands of doses. He admits that enforcement alone won't address the overdose crisis, and he's among a growing number of police embracing harm reduction. *Reprinted from The Lancet, Knaul et al, Alleviating the access abyss in palliative care and pain relief—an imperative of universal health coverage: the Lancet Commission report, Copyright (2018), with permission from Elsevier.